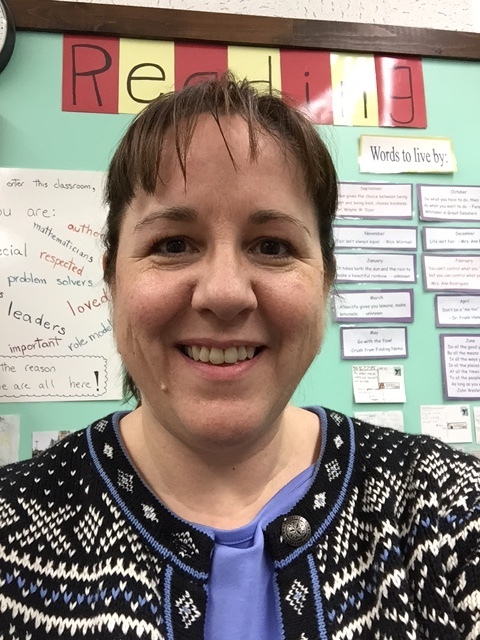 After 13 years of teaching fifth grade, Ann Elise Record is now the elementary math specialist at Brown Elementary School and Hillside Elementary School in Berlin, NH. In this interview, she talks about a free app that is helping her teach to the Common Core — and offers advice to her fellow math teachers who are adapting to the new standards. THE Journal: What made you choose the Front Row app to help you teach to the Common Core? Ann Elise Record: Scholastic put out a notice on Facebook to check out the app, so I did, and I was amazed at what I saw! I told my fellow teachers about it and called it the “Nirvana of Math apps.” All educators struggle with meeting the needs of every learner in our classroom, especially when the spectrum of their abilities is so vast. Front Row provides individualized teaching and provides reports that help me to create small groups and provide exactly what the students need. THE Journal: Is the app free or paid? Record: The app is free and the company has assured us that it wants to remain free for teachers. In order to do this, though, they do sell an administrative package, which allows principals to access all the data and to transfer children between classrooms. Our schools have not purchased this, though. THE Journal: How does the app help teachers set up a class roster and give students a baseline assessment? Record: Each teacher creates a classroom login and then enters his/her students' names. The program will then assign a classroom code to the class. All the children need to do is type in their name and the classroom code and they are good to go. It is super easy! There are several domains within the program, such as Numbers in Base Ten or Geometry. When students choose a domain for the first time, the app will give them a benchmark test, which begins with kindergarten-level questions, no matter what the age of the student. It is fantastic because it can really isolate where a child's development is rather than me telling the computer the student's age and it assuming they are at a certain level of development. THE Journal: How does the app help students to continue working at their own level? Record: The program is automatically adaptive. If the student gets questions right during the benchmark test, the program automatically makes the questions harder. If the child gets a question wrong, it makes the questions easier. Once the benchmark test is done, the student sees which level they are on and they begin to work on just that one skill. The app provides visual manipulatives for each question. If you can imagine an iPad, half the screen is the question to be worked on, the other half is the work space for the children. They can click a button that will reveal a whole host of manipulative options like numberlines or rectangles that they can drag onto their workspace, which they can write on with their finger. If they answer a question correctly, they get coins. If they answer a question wrong, the app will offer them a short video to review that particular skill. (My students had headphones so it didn't cause chaos in the classroom.) Front Row also suggests a couple of students in the classroom that the student could ask for help, because the app knows the children in the class who have already mastered that skill. It encourages collaboration without the teacher having to do one thing! Awesome! THE Journal: How does data collection work? Record: The data collection within the app is automatic. There are reports that show exactly which students are working on which skills and the equivalent grade level in the Common Core that it aligns to. Teachers can also print out groupings of mixed ability children to ensure that some good thinking modeling will happen, or they can choose same-ability grouping and the exact skill that the group needs to work on. It saves so much time for the teachers! THE Journal: What was the learning curve for app like? Record: There is basically no learning curve. I incorporated it immediately into my daily practice. THE Journal: How successful has the app been with your students? Record: I found the app to be incredibly successful with my fifth-grade students last year. I have now shared the app with my colleagues and many of them are using it with classrooms ranging from first grade (the questions are read aloud to the students within the app) through eighth grade. The students love it and don't seem to tire of it, which is wonderful. THE Journal: Have you seen test scores change since using the app? Record: We have only recently been able to keep track of testing scores with math, but I found that all my children (from my weakest to my strongest) made progress last year, and I attribute that to how I reorganized my classroom instruction from whole-group instruction to small-group Guided Math. Front Row was a crucial part of allowing me to do this and provide exactly what each child needed as they progressed on their path of math conceptual development. THE Journal: Do you have any other advice for teachers grappling with how to teach to Common Core? Record: The Common Core math standards encourage conceptual understanding over the traditional way we have taught just using tricks, shortcuts and procedures. I believe the way we have traditionally taught math has caused our societal basic hatred of math and even the development of a phobia surrounding math. Every concept needs to be taught concretely, then pictorially and finally abstractly with using the numbers. If we do this, we are helping the children understand the basic concepts, which they can then apply to the more difficult math topics ahead of them. I found that the spectrum of ability in my classroom was so vast that the whole-group lesson wasn't meeting the needs of 2/3 of my classroom, which was so frustrating! When I changed my instructional practice to be small groups that rotated between workstations, working with me and using Front Row, the engagement increased and my students abilities increased since I could differentiate what I did with each group. It was a lot of work, but I felt it was so worthwhile. Front Row was a key element in my shift of practice.